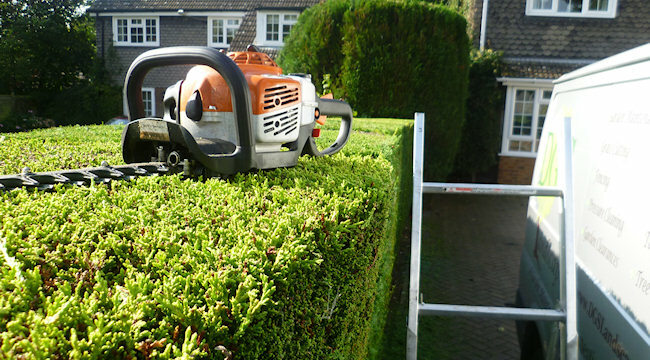 We are trimming and cutting hedges everyday around Leicestershire. If your looking for a professional touch from a local family owned company then you’ve come to the right place. We enjoy our work and and care about the finished result. Visit our contact page to get in touch with us. 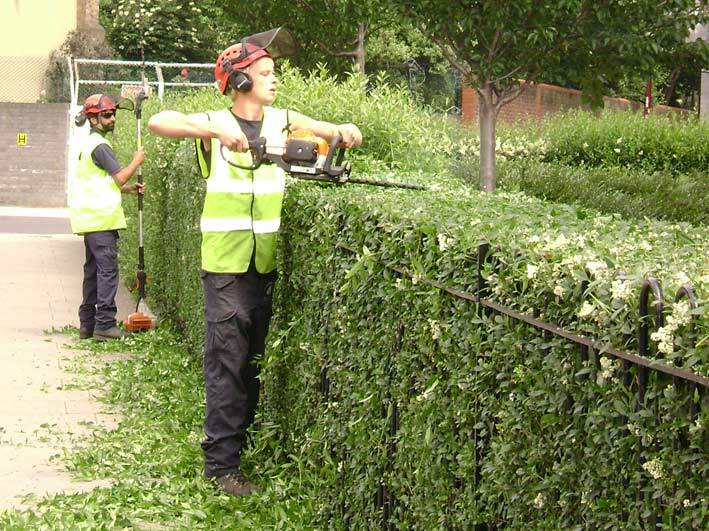 Exactly when to carry out hedge cutting depends on the type of hedge and how formal or informal you want it to be. In general established hedges should be trimmed throughout the growing season. Box and privet hedge for instance would usually be cut two or three times during the growing season to keep it in shape and under control. Yew hedging usually requires one cut in summer and one cut early autumn. Conifers usually require two or three cuts during the growing season although generally they shouldn’t be cut after August as this can encourage bare patches to develop. As you are probably aware, Leylandii in particular, are very vigorous growers, so if it’s been planted as a hedge it’s very important to keep it under control. In no time at all you can have a very tall tree on your hands! Beech would normally be cut once during the growing season. Laurel, especially mature Laurel can be a vigorous grower and can be cut pretty much as and when required to keep it in shape and under control. Informal and flowering hedges such as Pyracantha, Lavender and Fuschia, are usually cut after fruiting or flowering, usually late summer although an early spring trim is possible before flowering in most cases. Whatever hedge you have, we can advise on whether hedge cutting is a good idea right now or not, and if not, we can recommend when it should be done. It is important to check whether there are birds nesting in any of your hedges as it is an offence under the wildlife and countryside act 1981 to damage or destroy a nesting site of any bird while it’s being built or in current use.